So I'm a bit of a foodie. I LOVE going out to dinner with friends, trying new things (this is also always part of vacations), and cooking/baking myself. I'm not one of those people who will just throw stuff together and have it come out awesome though, I'm more of a always searching for that next great recipee kinda girl. Which also explains my addiction to a network called 24Kitchen, I can watch the chefs there cook ALL DAY LONG. I have talked about my tendency to hoard books before, but I don't think I ever mentioned this is also starting to extend to cook books (though I am much more picky about them than I am about my fiction, mostly because I can't justify having the same amount of cook books). I LOVE cook books. I can just look at all the yummy food for ages and start planning when I'm going to make said yummy food myself and who I will subject to be the first to actually taste it. Two cook books that are quickly becoming my favourites, are published by a supermarket chain here in Holland, they're awesome, they have a step by step explanation for the recipees with pictures. Which I've never seen before in any cook book. 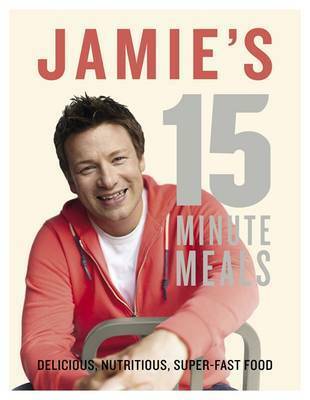 Another that I've gotten recently is Jamie's 15 Minute Meals by Jamie Oliver. So it does take me a bit longer than 15 minutes (more like 25) usually, but that's mostly because I need to check back and see what I should be doing next and I just don't have his skills. But I do really like the attitude that you can actually cook a not-so-standard meal in a short amount of time and it's ok to take shortcuts sometimes, but you're still making a homecooked meal and nothing comes out of a ready-made baggie. It feels healthier and the ones I've tried so far turned out really well. One of my friends lent me one of Martha Stewart's cook books recently and I made these awesome Oreo-Cheesecake cupcakes from it, but sadly forgot to take a picture. They were the best thing ever. And how could they not be: cheesecake GOOD, Oreo's GOOD, together = BLISS. But I must confess that I do like my cook books to be in Dutch, I'm more comfortable with reading fiction in English, but for cook books, it's easier to not have to constantly look up how much a pound is or how much a stick of butter is in grams, because that just kills my flow. So, do any of you guys like cooking/baking? What's your specialty? 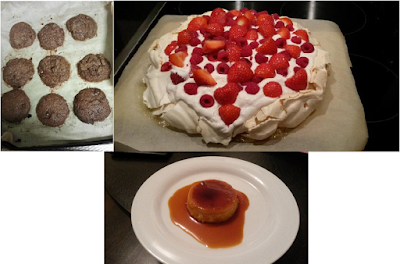 I make a mean cheesecake and chocolate pie :) Let me know if you know of any good cook books, especially Mexican or Thai food!